Let the countdown to Christmas continue! I can't believe Christmas is one week from today! Clearly I love some Holiday cheer, ribbons and bows. 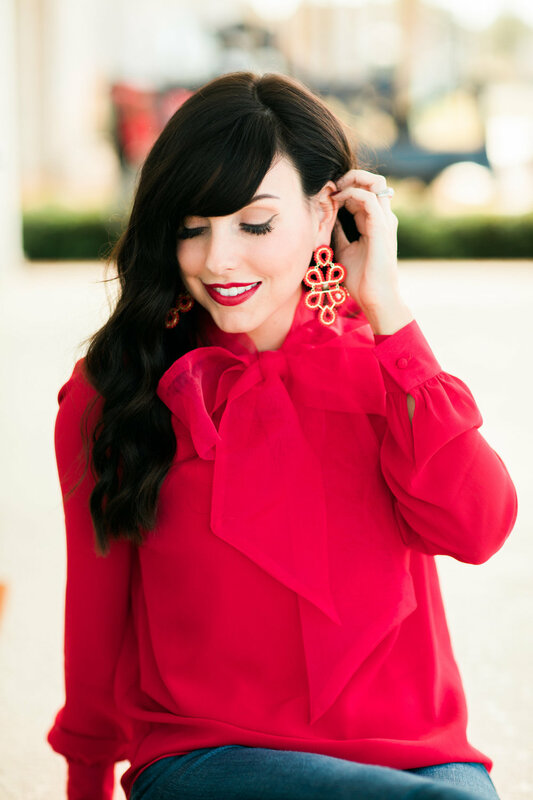 So as soon as this blouse was released from the Rachel Parcell Collection, I knew I had to have it. I may re-wear it again on Christmas day but with a skirt or leggings and pumps. I'm still undecided. 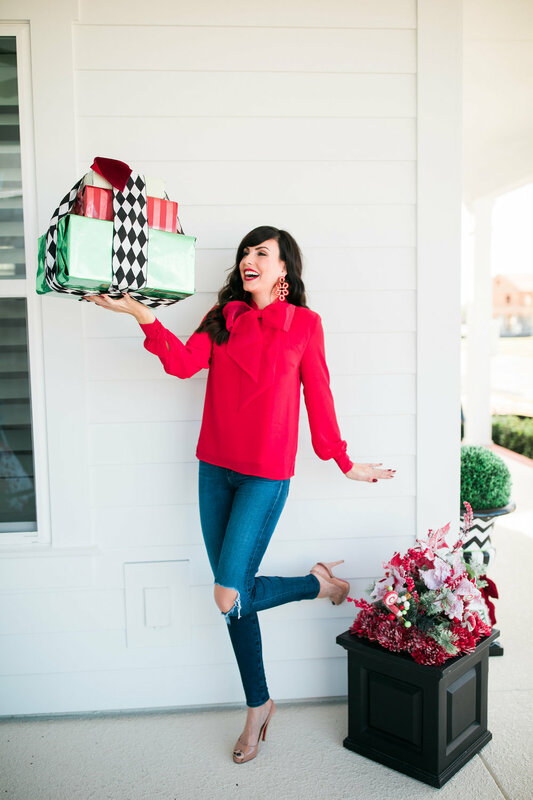 Either way this is one of my favorite tops this holiday season! It's so feminine and Chic and can be dressed down with jeans (how I've styled it here), or dressed up by tucking it into a pencil skirt or fit and flare style skirt with OTK boots or pumps. 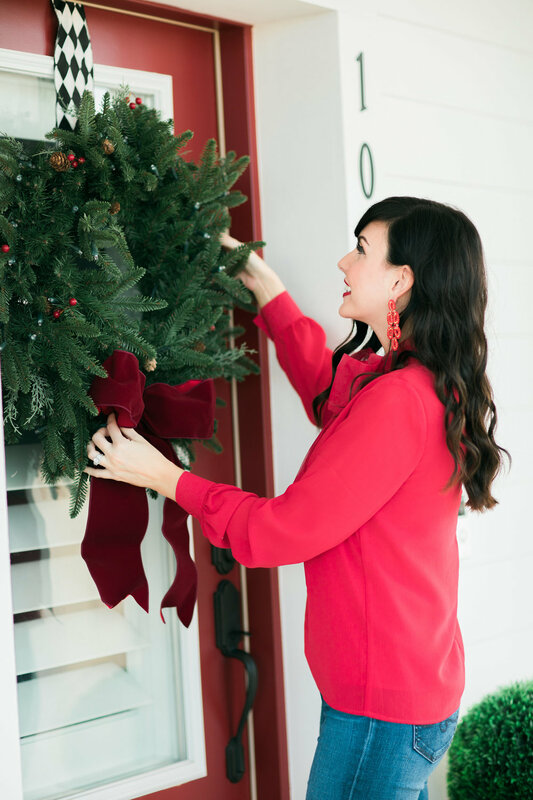 I'm providing all outfit details below, but unfortunately I think the top is sold out still, so I have also linked some other great festive finds from her collection. Hope you all have a Blessed & Merry week!